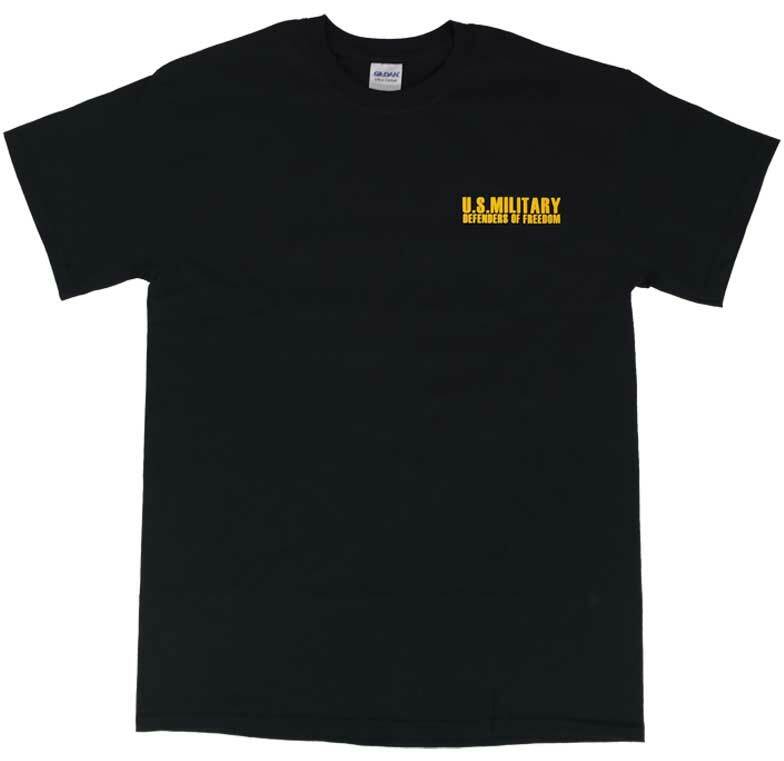 Our most popular patch now available in a T-Shirt. Logo commemorates our military personnel who protect us worldwide. American flag background with a bald eagle head and the 5 military logos of the Army Air Force, Navy, Marines and Coast Guard. Text reads, "IN MEMORY OF OUR TROOPS - DEFENDERS OF FREEDOM" and "THE NATION WHICH FORGETS ITS DEFENDERS WILL ITSELF BE FORGOTTEN". In Black only. 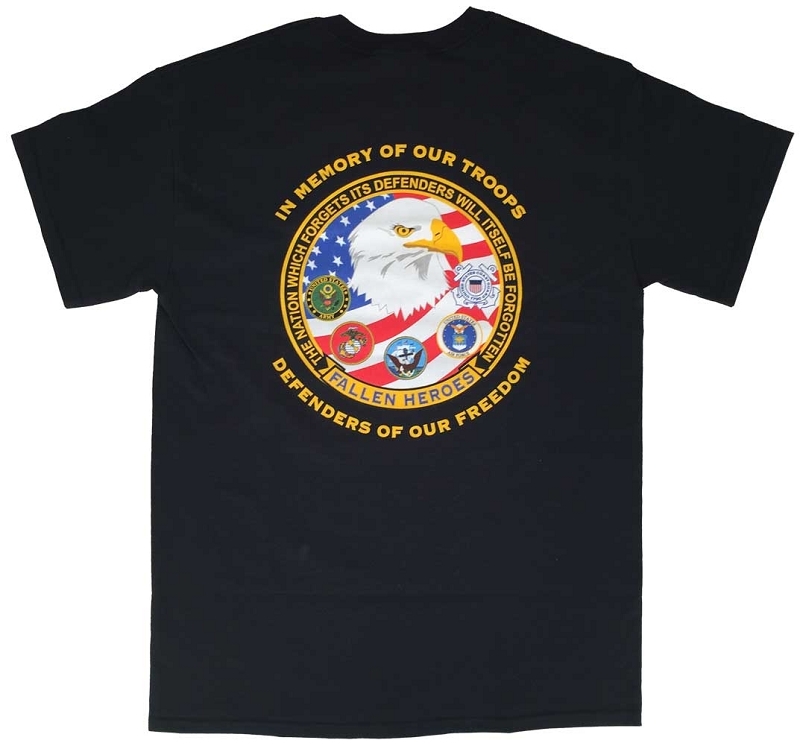 Just got my Military Memorial Fallen Heroes T- Shirt and wanted to share my thoughts. 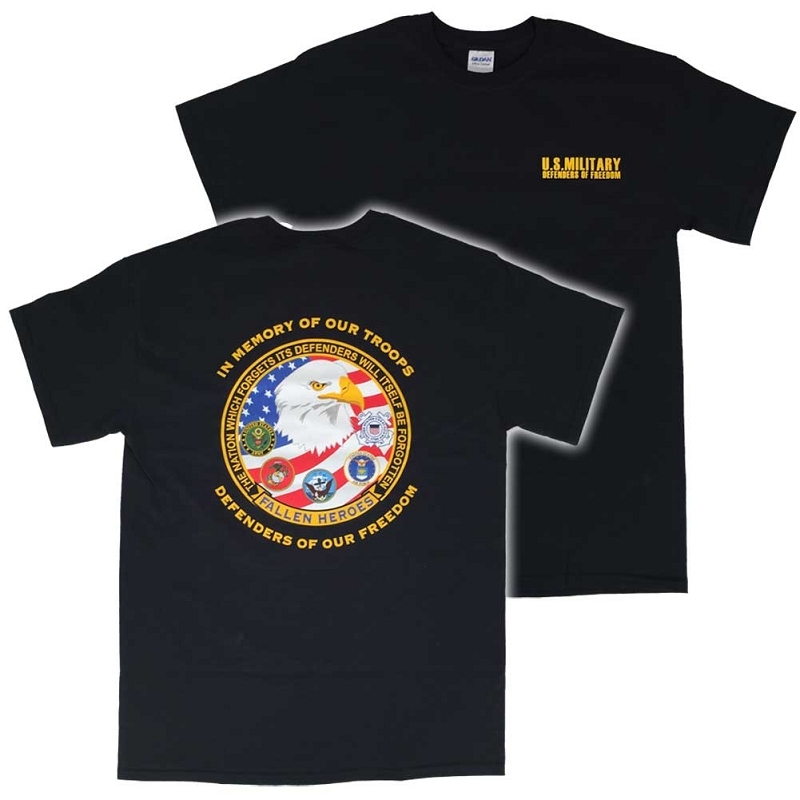 I''m a Vet and this is one of the finest shirts I have seen to honor our Vets. I highly recommend this Shirt. I thank Ace Jackets for carrying this Shirt in their store.